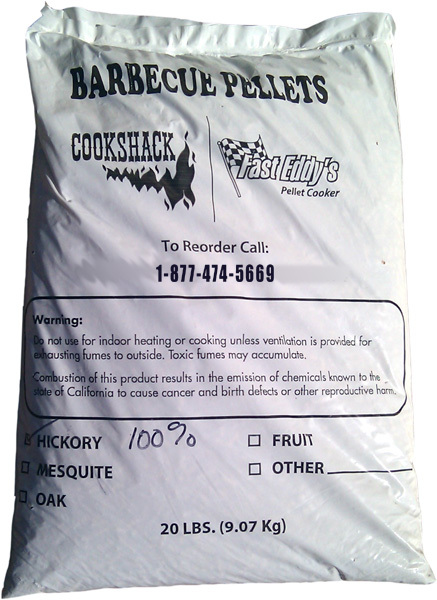 Fast Eddy's 100% Hickory Competition BBQ Pellet produces the best burning and flavor in BBQ pellets in the United States. They produce the least ash and highest smoke rate of any pellet on the market. Premium grade pellets (less than 1% ash content) is usually produced from hardwood or softwood sawdust containing no tree bark. Ash content varies in premium fuels from about 0.3% in some western softwoods to about 0.7% in eastern hardwoods.